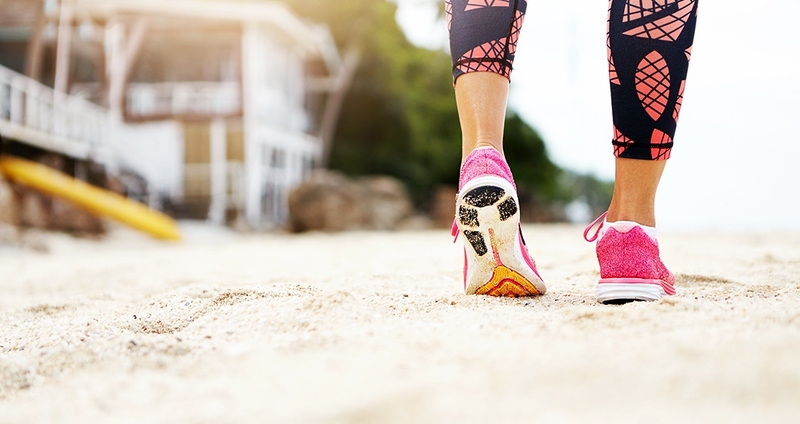 From minimalist to cushioning, motion control to stability—not to mention all the different brands within each category—there’s no shortage of options when it comes to running shoes. If you don’t know what to look for, deciding on a shoe can feel like an overwhelming task. But it matters. Here are some tips for finding the right shoe so you can stay injury-free. If you’re serious about finding the right running shoe, you’re going to want to find a serious running store. They’ll put you on a treadmill or watch you run outside to determine how you run—and therefore what kind of shoe you should be wearing. Do you pronate? Are you a forefoot, midfoot or rearfoot runner? Specialty running shops can be a little more expensive than sporting or footwear chains, but they’re usually worth it. Running shoes differ greatly depending on the surface for which they were created and how many miles you’re logging. For example, trail shoes tend to be heavier and bulkier, with stiffer soles, than shoes made for running on pavement. Then there are racing flats, which are even lighter and more flexible than road-running shoes. “Choose shoes based on whether you will be running on roads, tracks or rugged trails,” says Laflamme. You also want to keep in mind how often and far you’re running, because mileage matters. If you’re training for a marathon or generally prefer long distances, you’ll want to consider a shoe with a little more cushioning and durability. It may not be as important as finding a shoe that works for you structurally, but you want to feel excited about lacing up. Cool-looking gear can be a real motivator on days when you don’t feel like putting in the miles! Choose a running shoe that you feel confident in, whose colors and style inspire you to head out for a run.